You want a farmhouse table. You want to save money. So the answer is obvious…build your own! You might think this is an impossible task but guess what? I built this table. And I built the bench. And I was super proud of myself. What do you think? I love it! 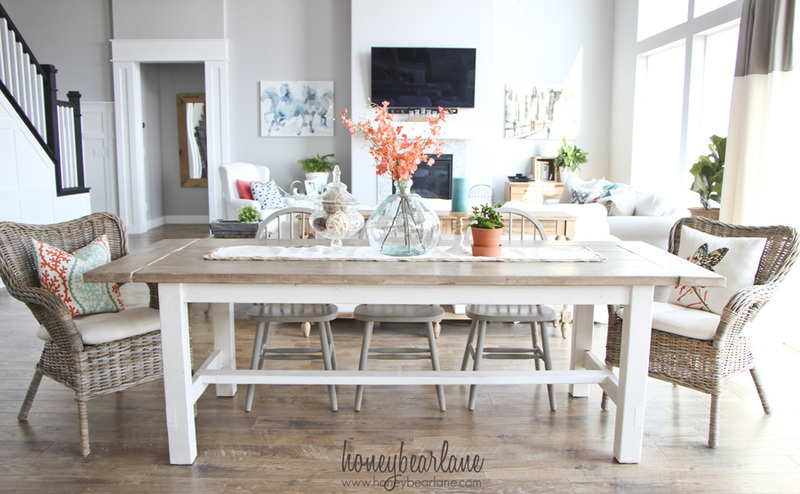 Want to have your own DIY Farmhouse Table? Read on! Ever since I moved, I knew we needed a new dining room table–ours was too small for the space. So I searched for months for a dining table I liked but to no avail. Finally I decided to make my own and I followed the Farmhouse Table Plans at Ana-White.com. 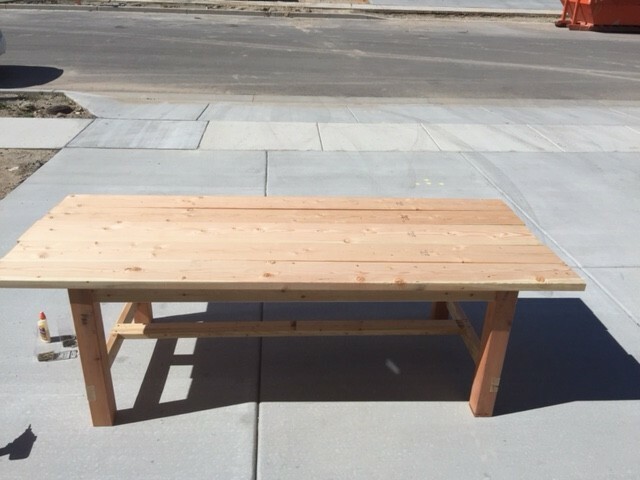 I also built a matching bench and here’s the link to those plans. I altered my bench so it would only have two 2×8’s instead of 4 2×4’s. It seems to match the style better. The bench was a bit tricky because of the lack of space in between the legs to use the Kreg jig drive bit. I just followed the instructions except for when I made the tabletop. I decided to keep it about a foot or two longer than called for so my top is about 8 feet long. This is nice because it makes it easier to have people sit on the end and slide the chairs underneath. However since the ends are breadboards (they are attached perpendicular to the other tabletop boards) they don’t have the greatest support. We ended up reinforcing the ends with some metal brackets. They have held well, although no one is jumping on the end of the table. *Here’s a tip: Bring the bottom and top in from outside separately and assemble inside. It’s heavy! The most intimidating part for me was cutting the notches. But I practiced a few times on a scrap piece of wood and saw it wasn’t so hard. It was a little time consuming though. I was able to do it with my 10-inch sliding miter saw and a Dremel with a tiny saw attachment to smooth it out. A 12-inch saw would be easier and I also think this could be done really easily with a table saw if you have one. You could also use a circular saw. A chisel is also a great way to knock out the pieces of wood if you don’t have a Dremel. I have had a million questions about the way I finished this table, which is my favorite. But I have decided to dedicate a single post to that. And don’t miss related posts below! I really love the farmhouse style and building farmhouse style furniture is pretty addicting! I actually would love to try to build some different tables and maybe I will sell this one eventually and build another one. That’s the beauty of building your own furniture, especially out of pine! You save tons of money and when you get sick of it you can actually sell it for a profit. Awesome. Linked up with Eclectic Red Barn. It looks like you did a much better job than I did! Bravo! Yours look amazing! Great job! In love with the clock on your wall,where did you purchase that clock? Thanks! It’s from World Market. You have done an excellent job and you should be so proud! It’s beautiful! Would you mind sharing the price breakdown? Thanks! I am pretty proud of it 🙂 The price breakdown…I don’t remember the exact cost of each individual plank of wood. 2x4s are cheap though and I got everything for less than $75. The paint was sent to me since I blog for DecoArt but it’s normally about $10 a jar for the Chalky Finish, and $10 a quart for the stain and $10 a jar for the soft touch varnish. 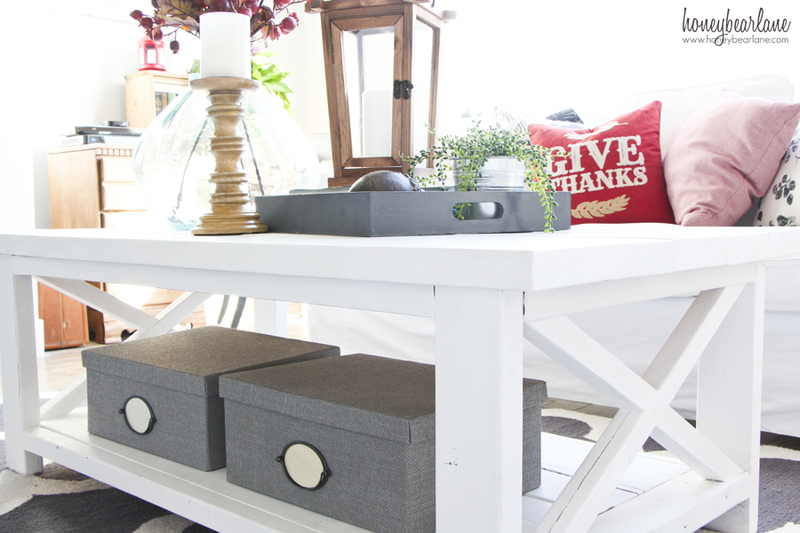 That’s one of my favorite things about the table–it was so inexpensive to make and it looks like $2000! I just used the pine white wood from Home Depot. I had to dig around and find the most straight ones I could. They shouldn’t twist and warp after you purchase it unless it’s exposed to water or extreme temperatures. You can click the link at the end of the post to see the tutorial for the way I finished it. Hi heidi we are actually making this table today and can’t get on your site anymore we did every thing but the top can you tell me or email me what you did for your stain? I would greatly appreciate it! Does that $75 include the bench as well? Hi! I LOVE this table and have gotten all the wood to start today! So I’m guessing you didn’t fill in the gaps between the boards? Is the gap large because of the rounded edges? I’m debating if I should attempt planing it? Do the gaps create any issues for you guys? I know this reply is late coming and maybe you have already built your table. I’m curious whether you planed it or not. If I had a table saw, I would maybe have considered planing it. You just have to make up for the width. However having the gaps isn’t really that big of a deal so far. Your table is beautiful! I’m so jealous of your home….it is so pretty! I wish I could decorate a room half as good as you! I saw a few of your posts and I have been noticing your floors. I have no idea if you did your floors or if they were like that when you moved in, but if you know, could you tell me what kind of flooring that is? It is gorgeous! Wow–thank you! My floors are actually a high quality laminate! It is so nice because I rarely have to worry about scratching it and this particular style hides SO much dirt haha! It’s Mannington Historic Oak in Ash. do you know the brand and store you got them from? They are very pretty. Chairs? The gray ones are super old, came with our original dining set we got from something like ShopKo as newlyweds. I repainted them several times. The end chairs are from IKEA. Can u tell me your wall colour? I love it! Thanks! It’s Sherwin Williams Passive Gray. Wow! 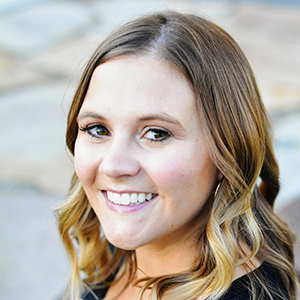 I absolutely love your home! Do you mind if I ask what’s the name of the color of your walls and where did you purchase your bar stools or what are they called? Thank you so much! Thank you! My walls are Sherwin Williams Passive Gray and the bar stools are from World Market. your table is amazing. I love the giant wall clock too! Where is that from? Thanks! The clock is from World Market. I absolutely LOVE your table. Exactly what I want my husband to build, I am hoping to help. Where did you get the 3 chairs and the 2 wing back wicker chairs? Thanks! Thank you! My chairs are just basic Windsor chairs that I got with an old table set years ago. But you can find these chairs everywhere, even at thrift stores probably. I painted them gray with Annie Sloan Chalk Paint (French Linen.) The wicker chairs are from IKEA. Any chance you could give the board sizes and types of wood for your table? It was just the basic whitewood (common boards) that you can find at Home Depot or Lowes. I think it’s pine. And I used 2x6s and 2x8s and 2x4s. But you can read all the directions on Ana White’s site. do you have a link to Ana whites plans for this exact table? I’m having a hard time following along with your directions 🙁 but I love the way it came out! Her plans are linked within the post. Thanks! First of all I just want to tell you how amazing your talent is, not only did you create a wonderful masterpiece but to break down each step and detail of your project!! That’s a lot of work…. Because of this I got the inspiration to redo my table with a chalk paint/ stain identical to yours! Normally I don’t comment but I had to say THANK YOU!! It is exactly what I was looking for and I am glad people like you take the time to share. Thank you so much!! It really was a labor of love and since I do love it so much I just had to share! Question! I totally love the table and may try to build it. Another question. I also LOVE the color of your hardwood floors. Can you tell me the maker and color of the flooring? We are remodeling due to a flood on Christmas Day and need to start reconstruction immediately. My old floors were dark wood and they showed so much dirt. I imagine these do not. Can you confirm? Thank you!! I love the look of dark wood floors as well but my laminate floors I have now are SO great at hiding dust and dirt. I still clean them every day but I can get away with not mopping more than once a month or more. 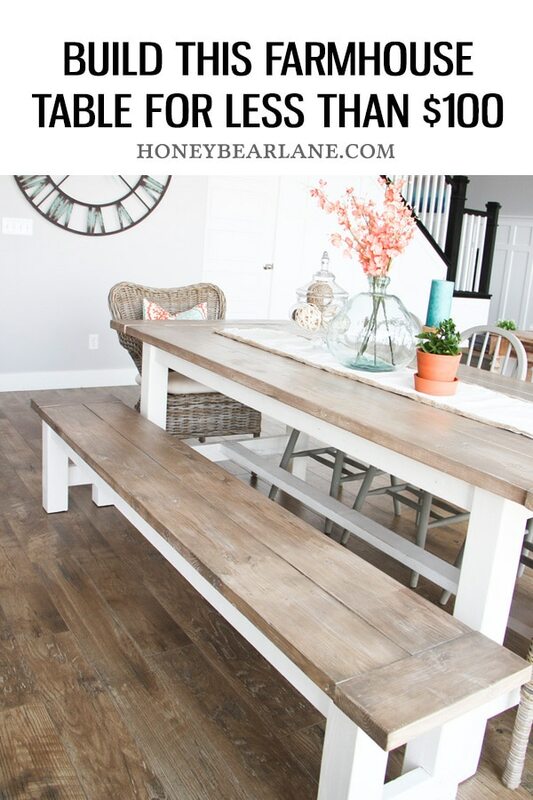 I wrote a whole post about them here: https://www.honeybearlane.com/2015/10/why-i-chose-laminate-flooring.html Good luck! Where did you get that clock?? Is there instructions or a link for the bench? You can find the bench instructions on ana-white.com also. My husband and I are planning on making our own dining table. This is just the finish we have been looking for! I can’t wait to do it! Thanks! The walls are SW Passive Gray. Looks really good, Heidi! I’ve seen that gray/whitewashed style at west elm and wondered how they did it. I need to give this a try! Has anyone built this and run into a problem with seats at the end, not pushing in enough to actually eat at the table? I’m using this plan to build my own table to seat 10 in a couple of weeks and was curious if someone had any ideas on how to solve that problem? Thanks, love the plan! My table is extended enough to push chairs in underneath the table. I left my length-wise planks on the table top longer and added the breadboards at the end. The problem is that the breadboards don’t have any support under them. Mine have held with pocket screws and glue so far but a friend of mine built this table and they added little braces on each side to solve this problem. I adore your table! You did such a great job! Ana White’s plans are so perfect for us DIYers. I want a farm house table, but I have the opposite problem: not enough space! So it’s on my list of “someday” projects when we get a real house again! You could probably make a smaller version of the table if you wanted to! And then you could sell it later if it’s not the right size for your new house. I LOVED making mine and can’t wait until it warms up so I can start building again! Hmm, a square version? That could be cute! All you need to do is measure the length you need for the space and I would probably keep the width the same. Good luck! That’s from World Market. Thanks! Hello! Came in via Pinterest. I was wondering what you used to stop your mitre saw from cutting too deeply? Some kind of stop block on the arm? I’ve been eyeing this plan for a while. I want to make a kitchen island on casters, out of 2×2 oak tobacco stakes. They’re gorgeous, but I don’t have enough for error. I, too, dislike the circular saw. One pinch of the blade and it kicks backwards. Frankly, I just don’t like saws because I don’t like loud noises. Difficult when you’re (re)building your house! LOL! Hi Christine! I actually didn’t use anything but a little practice and trial and error to get the depth right for cutting. I marked where it needed to be cut and just tried to cut to that line. Also I tried to make sure my saw blade was going down right in the center of the blade so the back or front didn’t cut deeper than the other side (which is where another wood block behind it comes in handy.) Maybe that’s what you meant. If you have a table saw, I actually think that would be a good way to do it. I didn’t have one when I built this table but I do now and I’m curious to try it, especially with my Dado blade set. Good luck! I love the table and bench. They’re gorgeous. What wood species did you use for the wood seating? Thanks! I actually just used the pine white wood from Home Depot! Hello…. Beautiful table. My husband and I are going to attempt this. What new method did you use to paint the top of the table if you don’t mind me asking? I wrote about the entire process of how I finished the top in the body of the post. Good luck! Where did you but that clock at? Love it! I like the simplicity of the look. But what I really like are the clear instructions and helpful links. These plus the pictures will make it easier for me to construct my own! I am just finishing a farmhouse table following your finishing advice. I am so in love with it!!!!! It looks beautiful. With four kids I am concerned about how the varnish holds up. It doesn’t seem very hard. I was curious if you could let me know how your finish has held up since you completed your table? It’s a softer finish so it’s not as hard as doing a polyurethane. Looking back, I would consider doing a poly as long as it doesn’t change the color. The soft touch varnish is nice but sometimes when I have had to scrub something off the table, it removed a little of the finish. I have the finish on hand so I can touch it up but poly is probably the safest bet with kids. I love this and I have a family of 7 would be purfect! I was looking for the direction to make this but didn’t see them. Did I miss it or could you post instructions on how to build? They are from Ana-White.com but it is linked within the post. This table is sooooo gorgeous as well as the entire room. Do you happen to remember where the stems are from in your centerpiece vase?? Thanks soooo much. Thanks! They are just from Hobby Lobby! Hi Heidi, maybe I missed where you talked about the base/table…is it just the chalky white finish applied straight to the pine? Then you sanded spots to age the legs/frame a little? I’ve been looking for a DIY farmhouse table tutorial for months and I just found it. I love this table and I’m gonna give it a try. I was wondering what is the brand of the chalky paint you used and where did you get it? If you have the link to it I would really appreciate it. It also seems like you sanded the paint on the legs a little bit, I was wondering if you did it before or after applying the varnish? Thank you so much for the awesome tutorial!! I used DecoArt Chalky Finish paint in Everlasting. I actually recommend you use a polyurethane on the top though…I’ve had some issues with the soft touch varnish I used. I did sand and distress before varnishing. Hey there! First I wanted to say your table and bench turned out amazing! I’m about to make my own and I have a quick question! There are so many comments so I wasn’t able to find my answer. 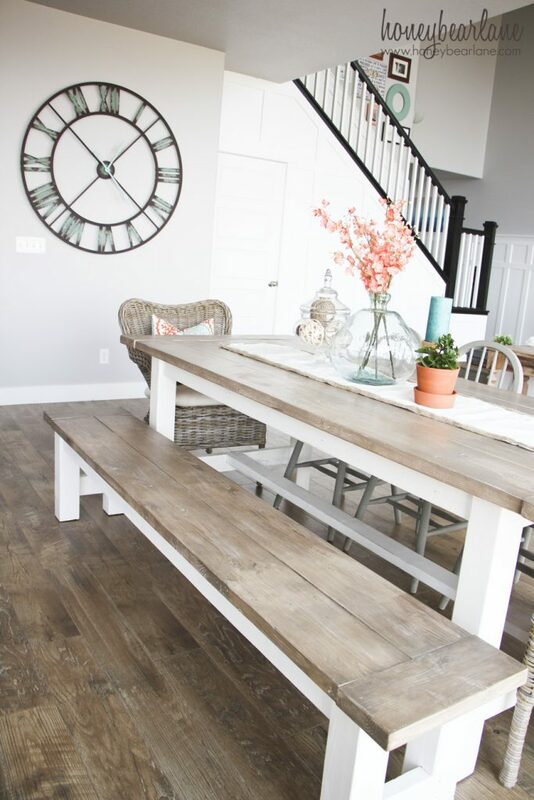 Did you make your bench the same length as your table? It’s nearly the same length. I wanted to be able to fit as many people as possible on it! LOL, I had someone build it for me too!! Great tip about the wicker chairs…once i don’t have messy little hands working food into my chairs i’d like to get some. For now we went with Galvanized metal Tolix chairs. Did you pre-stain your wood with conditioner? If so did you use water-based or oil-based conditioner? I don’t think I did this time because I was white washing it first. This is beautiful! 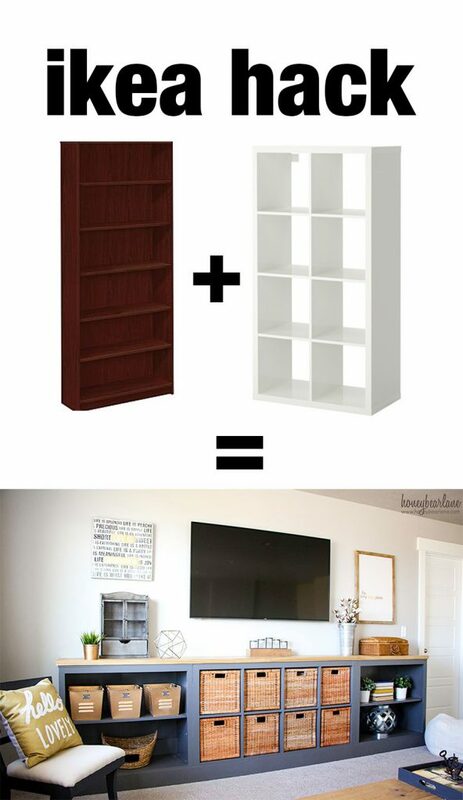 My husband and I are going to attempt to make this, but we are new to the furniture-making process. Hopefully it will turn out alright! Do you mind telling me how long this took you to make? It might be in the post, but I just missed it. Thanks! Hi! It took me a weekend to build the table, and another day or so to paint/stain it. You are amazing..I keep saying I want to do this….to learn how..to borrow or purchase the tools..then I chicken out..You have renewed my passion. Thank you for your bravery!! Anyway, thank you for sharing how to achieve this look! I do have a question – I noticed in one of your comments you mentioned having trouble with the soft touch varnish. I am currently debating oil-based polyurethane or water based polycrylic… I know oil will make it more durable for a dining table, but do you think the color of this finish will be ruined by the amber colored polyurethane? It can be risky. I would use a scrap piece of wood (the same wood you use for the table top) and test it out with the stain and everything. Replicate exactly what you are planning on doing and see if you like the final result. I will definitely be trying polyurethane next time. I followed your plan and the table turned out great! My wife is very happy. What I did for the cracks that worked extremely well is I used plastic wood. It’s a soft pliable material that you use like epoxy but when it hardens it feels and looks like wood. It can also take a stain and be painted. So I was able to fill the cracks, sand it, then stain and polyurethane it. It’s smooth and is sealed from top to bottom. Interesting! Glad it worked out great. From the Ana plans it looks like they used 2x8s and a 2×10 for the table top planks, from your wood list did you instead do 2×6’s and a 2×8 for your table top? if so what’s your width dimension? Can you tell me the brand and color name of the stain for this table?? It says in the post, Minwax Dark Walnut over a white wash.
Hello! SO IN LOVE! So can you tell me the process of how you did the top, with the stain and white washing? I want mine to look EXACTLY like this. 🙂 Thanks! Thanks! I actually detailed the entire process in the post. I am so excited to start making this table just like yours. ^_^ It’s beautiful. I’ve got the measurements and plans for the table but i couldn’t find the bench that you made in the picture. is that on Ana white’s site too? I couldn’t find it. Please if you can help me with a link? Thank you! Ops. nevermind. Just found the link. Sorry about that and thank you! I think it’s on her site too but if you search pinterest for Farmhouse bench, you will find it. I don’t take orders, sorry. Best of luck! Wow you have inspired me!!!! Can I ask how long it took you from start to finish? I have 3 little kids and not sure if I can find the time to do this project. Thanks! It was a day or two of building and then another day or two of painting. It’s not too bad if you break it up. The notches take the longest. Before you painted or stained, did you sand the whole table down too? This is probably a basic question, but we are fairly new to building and just wanted to make sure we did it correctly. If you did sand everything down prior to the paint/stain phase, what kind of sandpaper or sander did you use? I’m sure I did, I always sand things pretty well. I use an orbital sander or a mouse sander with a 150 grit and then a 220 grit for a smoother finish. I had my husband build this table. We love it already! Thanks so much for posting! We love your decor on the table. Where did you get the table runner, etc displayed on your table? Thanks! Thanks! I get most of my runners from places like Home Goods but I have a burlap one from Walmart (BHG brand) that I love. The glass vase is from World Market and flowers are from Hobby Lobby. What colour did u paint your chairs? What color is that stain? Can you tell me the dimensions you cut your tabletop and bench top pieces since they differ from the plans? love the look of yours. 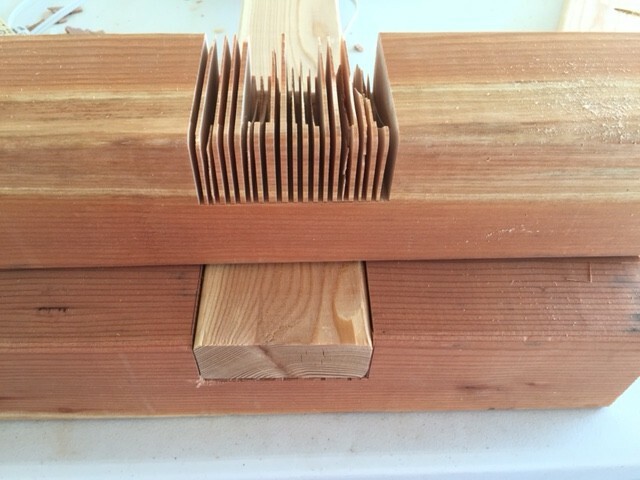 How did you end up supporting your breadboard ends? Just curious if you have any current pictures with how the table has held up since you built it? My husband is mostly curious about the sealer that you used. I would like to use the one that you used but he is not convinced that it will hold up to two very rowdy toddlers. Also how often do you use the table? I use it everyday and the sealer hasn’t held up very well. I recommend a hard sealer like a polyurethane, but test it first to see how it looks over the stained wood. I absolutely love it! I would pay you a lot more to make me one!! Hello! Your table and Benches look beautiful. I’m trying to find the plans for the bench, but I am not able to find them on her website. Is there anyway you could send me a link to the benches? Thanks so much! Both links are within the post. Hi Heidi! I’m so excited to start on this table! Did you use pine for the whole thing? Yes except for the legs which I think are Douglas Fir. However if I were to make another table I would consider making the top out of a harder wood like Oak, if you can afford it. The post is in a slideshow style so each slide has its own text with it explaining the photo. Make sure you scroll down past the photo to see the text. If you still can’t see it, maybe try viewing it in another browser. I’ve used Safari and Chrome and have seen the text in both. Sorry about that! Wow, the ads on your page are out of control and I can hardly even see the post.. Not to mention that I can’t figure out how to view the full post. Sorry about that, still tinkering with the new slideshow feature! Hopefully you can read it now! Beautiful table! My husband and I just built Ana’s Rekourt table and I love it! I stained the top with Minwax Jacobean, but my husband thought it was too dark, so I mixed ASCP Old White with water and made a wash. I just brushed it on and wiped it off. It looks fantastic! It really looks like weathered wood. Awesome! Send me a picture if you get a chance, I’d love to see it! This has too much stuff on the page for me to even get to the plans or the pictures. Is there another link that shows just the plans and the photos without all the ads for ikea etc? My webpage won’t load with all the other stuff on there. Thanks! What color stain and what color chalky finish did you use? Nevermind! Found it in comments! I think it’s satin. Possibly semi-gloss but I think it’s satin. Never once have I been able to find wood that’s straight enough for these projects. None of the main hardware stores stock timber that can be used for these projects. Where do people source their wood, it’s definitely not Lowes or Home Depot. I actually got all my wood at Home Depot. But I agree it can be very hard to find good quality wood among the common boards. Would like to read your blog, but the ads are ridiculous. Annoying when I’m trying to read. What a great job!!! You should be very proud of yourself. I love it when someone gets an idea and steps outside the box I live by the motto, I’d rather try and fail, than never to have tried. Kudo’s for a job well done. I’ll be waiting for more of your creative projects. LOVE this! Would you consider making me one if I paid you? haha but seriously?! Table looks phenomenal! Did you use a grout or caulk in the grooves? Thanks for the help! No, please do not use grout or caulk in the grooves (unless you plan on painting it.) They will not accept stain at all. You could use wood filler but even that doesn’t take stain that well. If you don’t want any grooves, I recommend cutting off the rounded edges in the beginning with a table saw or planing tool. Just wanted to clarify your alteration in the bench seats. 4 2x4s would be approximately 16 inches wide. 2 2x6s would be approximately 12 inches wide, not giving it enough width to cover the base of Ana White’s bench plans. We made this mistake after reading your plans and had to add a 2×4 in the center of the 2x6s to make the right width. These designs are perfect! I’ve been looking for a nice 8 foot dining table and everything is so expensive, so my husband and I are going to follow these plans to build our own. One question, did you extend the length of the bench seat planks as well? We are going to make the table lengthwise planks longer like you did to have more room on the ends, but I wasn’t sure if the bench should be longer as well.. Yes, I extended the length of the bench. Just add length to the top boards and the side apron boards. It’s hard to say exactly…it might not have been reinforced enough or maybe he didn’t use wood glue or maybe the screws weren’t long enough. I reinforced my breadboard ends with long metal braces since they didn’t have support underneath. Wood does expand and contract but it seems unlikely that that would cause an entire table to fall apart if it was built to last initially. Hi. I love this table. Does it seat 10 people comfortably, do you think? Thanks. How long did it take you to make this table? Oh my goodness, hats off to you girl this is beautiful! I really need to get over my fear of power tools. I love your table and would love to build one like it, but I’m a bit concerned because pine is rather soft, and I have little kids. How has your table held up? Is there anything you would change about the way you built or finished it? Thanks! Yes, it’s definitely soft and gets some dings in it. That’s the biggest reason I created a weathered wood look to it, so the dings would just fit right in. However you can build using a harder wood like maple or oak but just be warned that they are much more expensive! Omg, love the DIY!! Thank you so much for the step-by-steo. It was really helpful and looks super easy to make. I’m definitely going to try it!! I can’t seem to open or find the instructions to make this beautiful table. Please advise! Thanks! You can make it yourself, just loook and learn from WoodPrix . Hi! I LOVE your table and bench!! I’m not that crafty, so I’m having someone else build these for me! 😉He’s using white pine wood. 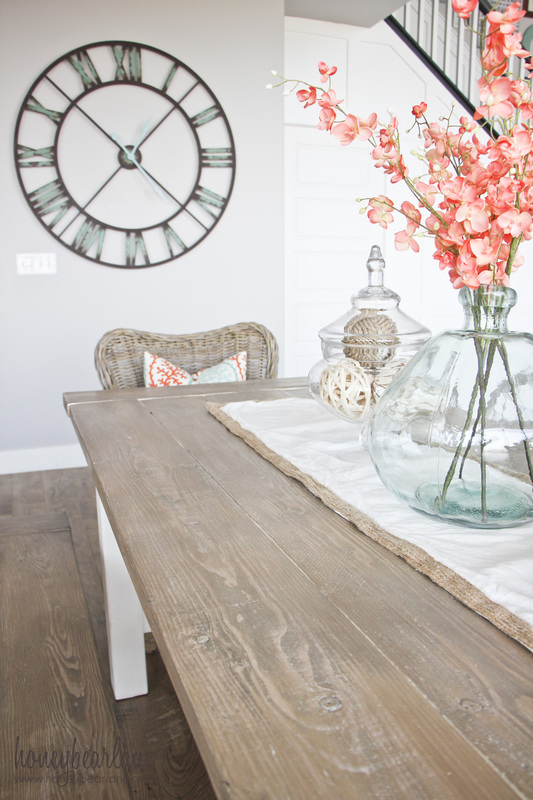 What stain color did you use for the table top? The custom stain method is described within the post. Thanks! Do you know finished dimensions of table and bench? Looks amazing. What are the dimensions of the table when finished? Can i please have the plans for this emailed to me in PDF format? I have tried downlaoding them, but keep getting an error. You have to go to an external link which is on Ana-White.com. I don’t own these plans! That is a fantastic table! I would love to build my own. How long did the whole process take you? Thanks! I did the table in a weekend. The bench took another afternoon. And then painting and staining took a little more time but that’s because you have to wait for each coat to dry. I love this! I’m so excited to try it! One question though, why did you use 2×8 and 2×6’s instead of the original plans of 2×8’s and 2×10 for the table top? My dad just built me this table for my birthday and I used your white wash/stain technique and oh.my.gosh!!! I love it. It is so beautiful!!! What a nice dad! Glad you love it! I get my table runners at Home Goods and Walmart. How much did the supplies cost for this project excluding the tools? I don’t remember the exact cost but it wasn’t that much, maybe under $100. Hi there!! I am super new in building things on my own, but I started to do some small stuff and I enjoyed so much doing so! I LOVE your table, but I was wondering what kind of wood do you recommend me buying, and also where to find it. Hi! We are in the process of building this table. We just loved it so much! One question we had though, what is the width of your table? I think it’s about 37 or 38 inches. You could sand it down until there is only a thin layer of paint, then apply a dark stain.